“Films enrich people’s lives, and their worlds inspire new possibilities. It is a little over 100 years since the advent of films, and their potential is ever expanding. They are exceptional media that can embody the diversity of world cultures, and their stories are like another life that enchants the audiences who see them. Born in Nara, Japan, Naomi Kawase graduated from the Visual Arts College Osaka in 1989. Embracing (1992) and Katatsumori (1994) received international recognition and awards at the 1995 Yamagata Documentary Film Festival. In 1997, she became the youngest winner of the Camera d’or, for her first feature Suzaku, presented at the Directors’ Fortnight. In 2000, Hotaru won both the FIPRESCI and the CICAE Prizes at Locarno. 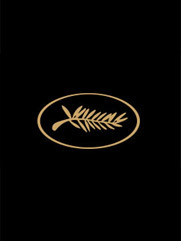 Then followed a whole series of feature films selected at the Festival de Cannes in Competition: Shara (2003), The Mourning Forest (Grand Prix 2007), Hanezu (2011) and Still the Water (2014). Sweet Red Bean Paste was selected to be the 2015 Un Certain Regard opening film. Naomi Kawase is also highly recognized for her accomplishments in documentary filmmaking. Among other honours, she received the Carrosse d’or from the Directors’ Fortnight (2009) and was made Chevalier de l’Ordre des Arts et des Lettres by the French Minister of Culture (2015). She was a member of the Jury headed by Steven Spielberg at the 66th Festival de Cannes. Retrospective exhibitions of Kawase’s work have been organized all over Europe, including The Jeu de Paume in Paris (2002). In 2010, she founded the International Nara Film Festival, dedicated to promoting the work of young directors.